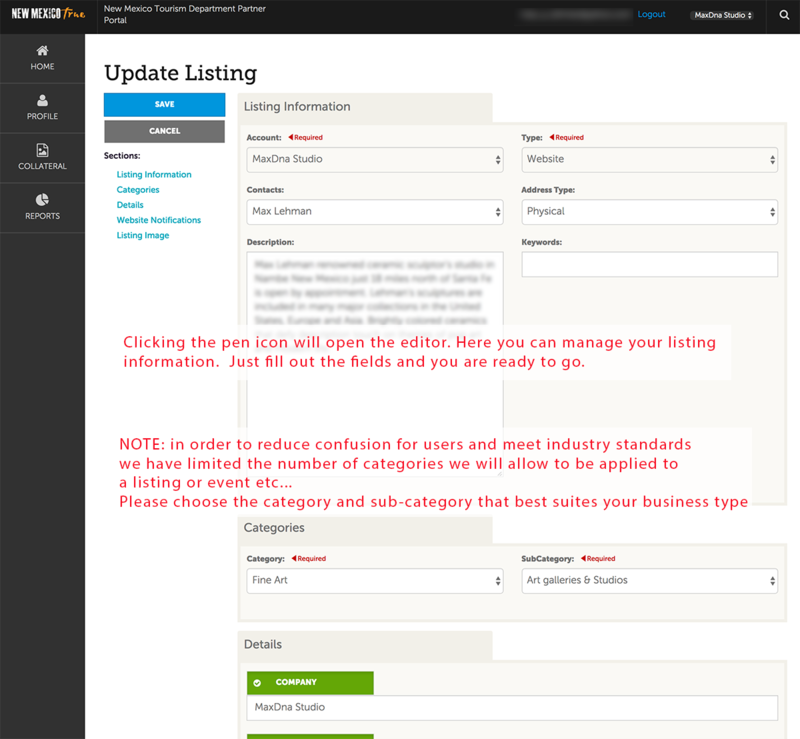 Please review this page for information regarding how to add a listing or editing an existing listing. 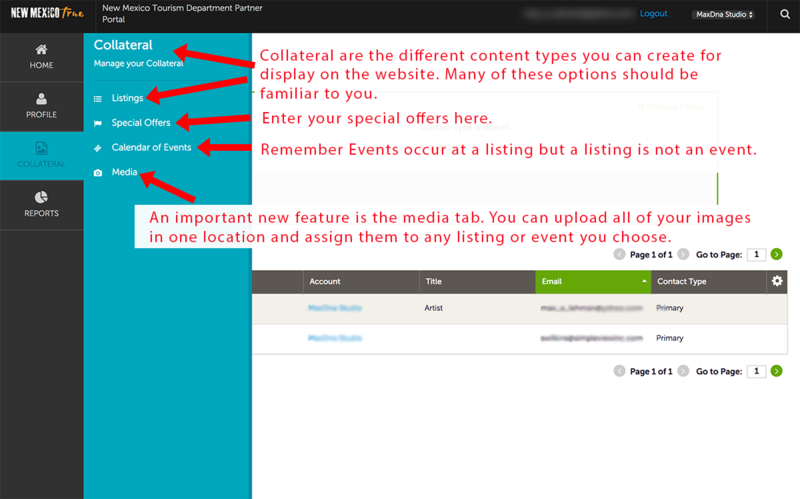 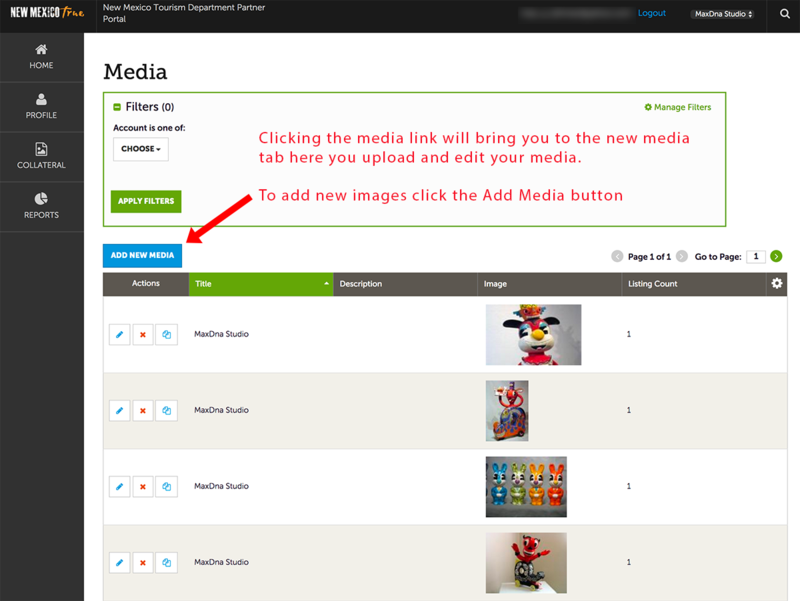 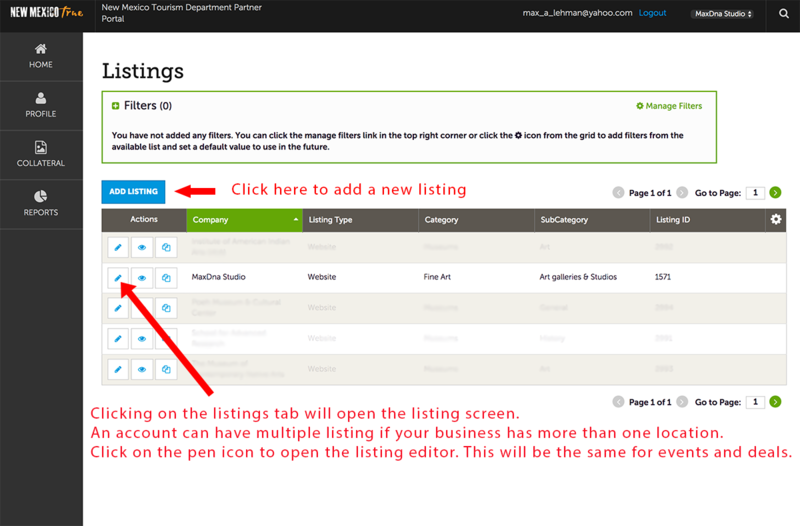 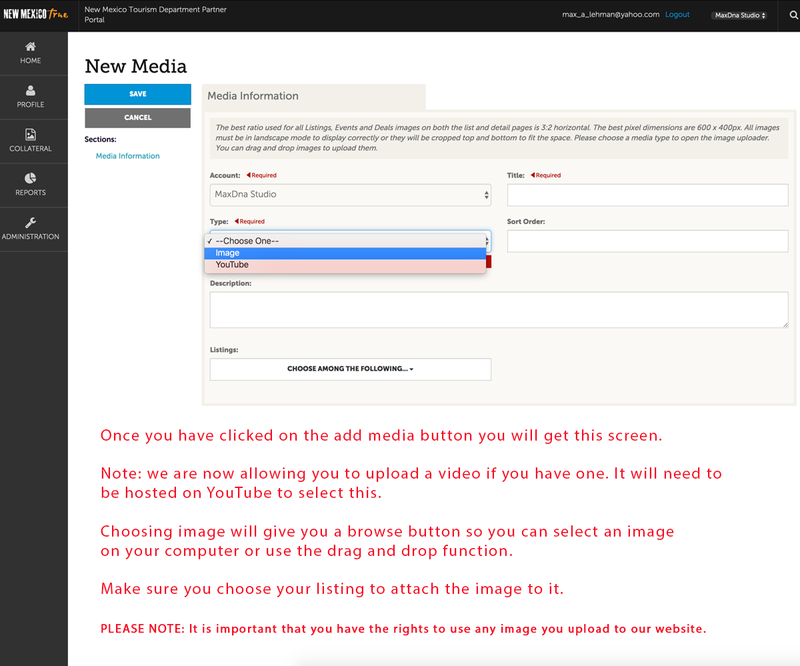 Please follow the simple steps below to create or update your Listings, Deals or Events. 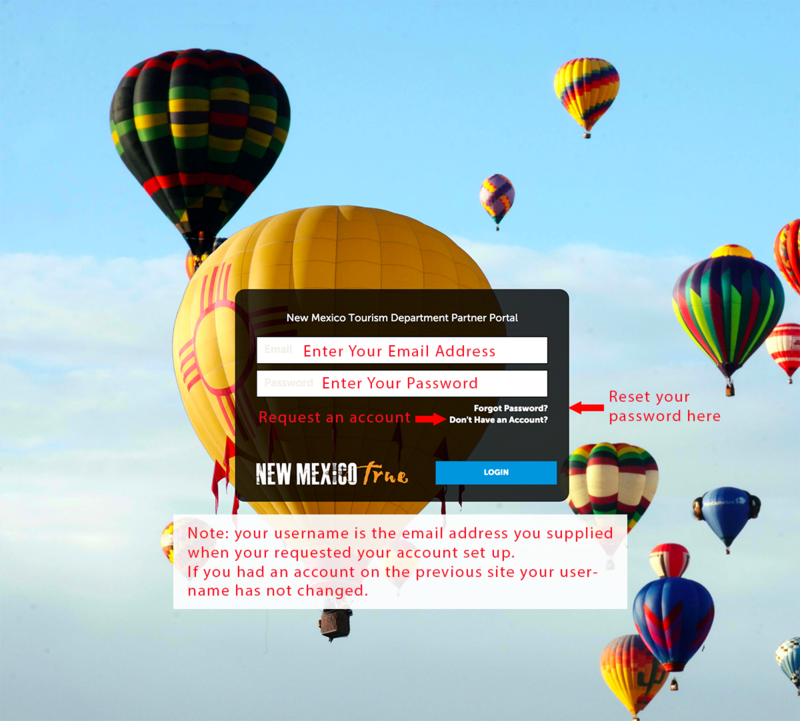 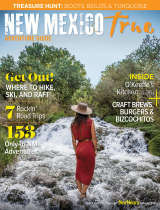 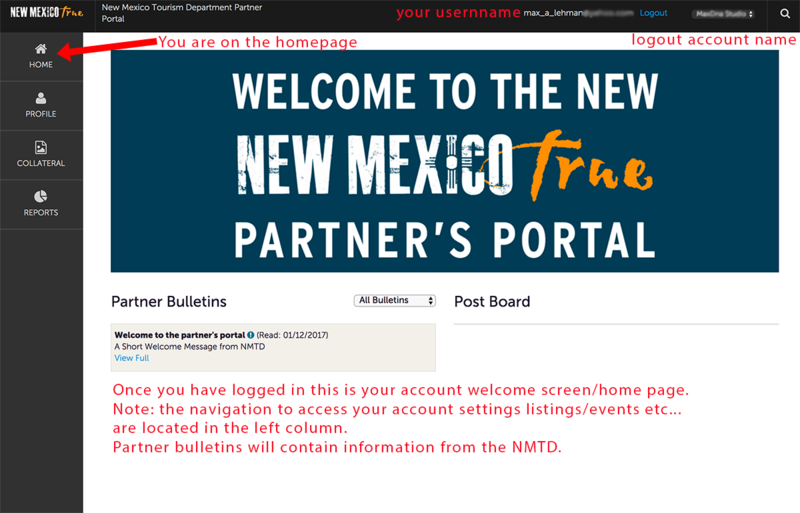 New Mexico True website. 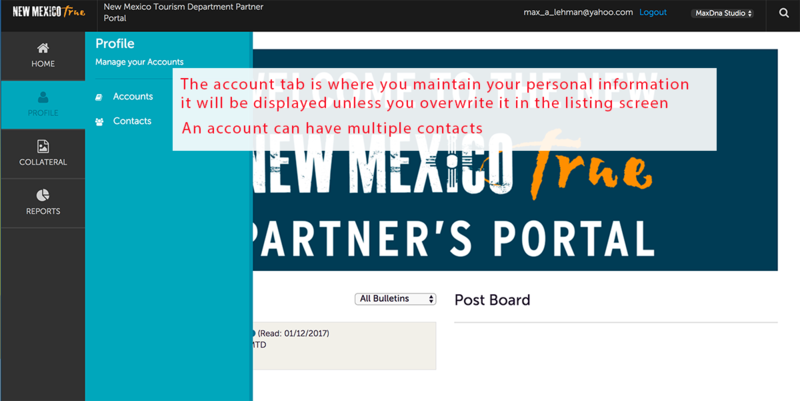 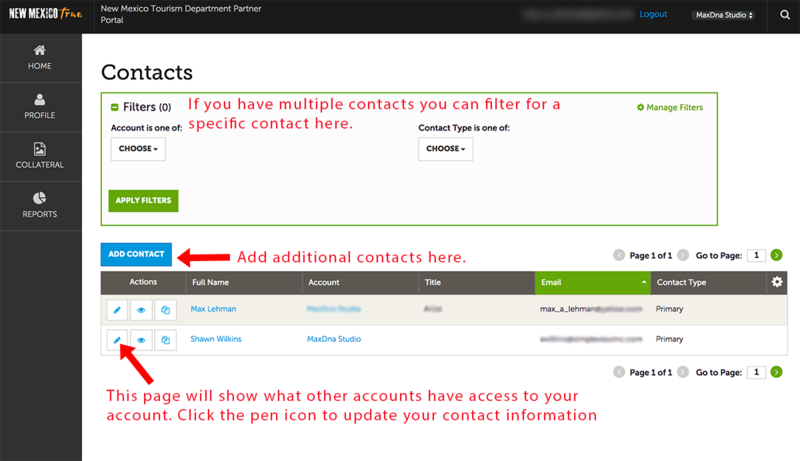 To get started simply click on the Partners Login link that is located in the footer at the bottom of very page on the website. 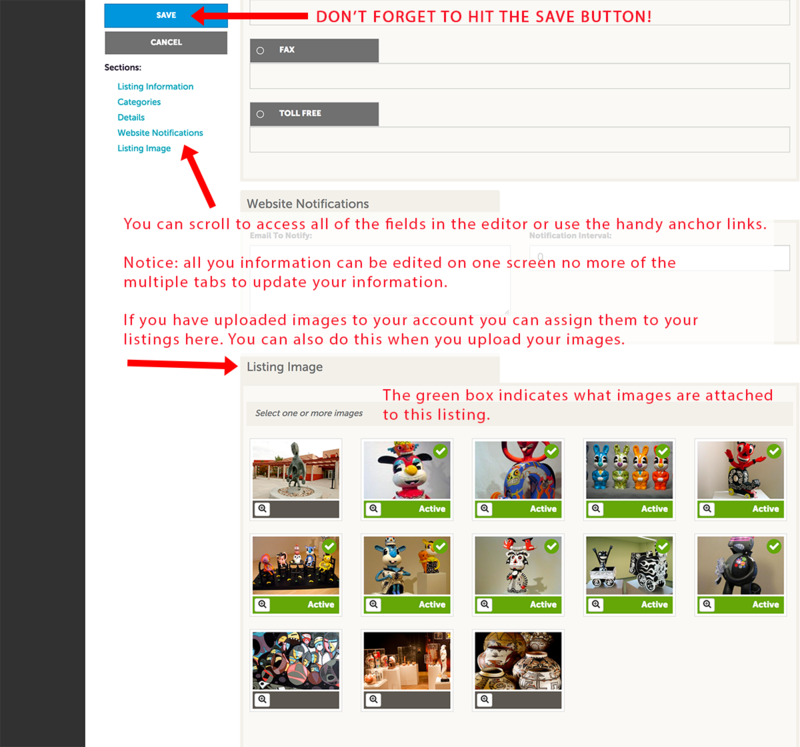 and we will publish it to the site.